Located in Ning'an City, Heilongjiang Province, Shangjing (渤海国上京龙泉府遗址) covers an area of 16.4 square kilometers. It consists of three parts: outer city, inner city and palace city, which imitated the style of Chang'an during the Tang Dynasty. The Bohai State was a prefecture that existed from 750 AD to 926 AD in the northeastern part of modern China. The city had grid-pattern streets, dividing it into many quadrate residential areas. 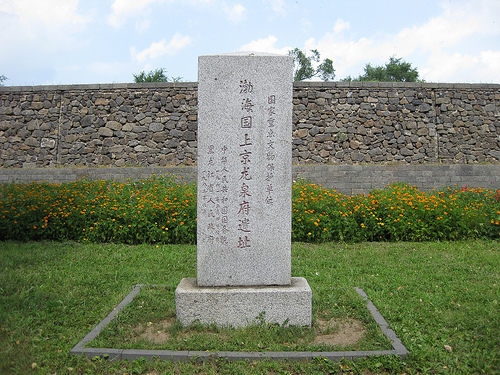 The construction of the city offered important clues for the study of the relationship between local and Tang cultures. - Hours: 8 a.m. - 4 p.m.